According to "Our City, Our Sports" published by the Canadian Wheelmen's Association, there were four North American bicycle clubs formed in 1878, the first year such clubs existed on this continent. Listed by order of formation, they were Bangor, Boston, Montreal and San Francisco. By 1894, the Bangor and Boston clubs had ceased to operate, making the Montreal Bicycle Club the oldest in North America. This naturally led to the question from current members as to which is the oldest bicycle club in the world? A search on Google suggests it may be the Pickwick Bicycle Club which was founded in 1870. This club mixes activities related to Charles Dickens and cycling. When looking at their website we discovered that they apply sobriquets to there members from the pages of Pickwick Papers. The Montreal Bicycle Club mixes current cycling activities and early cycling history. Like the world's oldest bicycle club we also apply Sobriquets to our current members based on persons associated with early cycling. 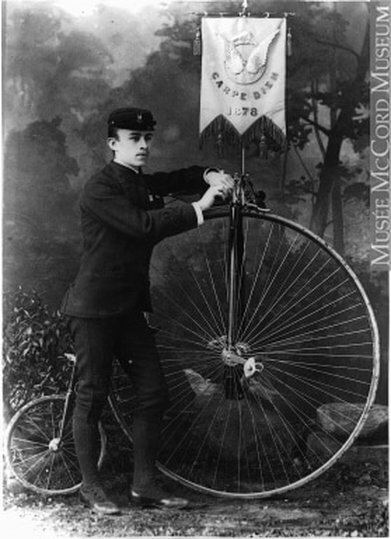 One of the original founders of the Montreal Bicycle Club. Also the Countess of Warwick, she was well known for socilaist campaigns and as the mistress of Albert Edward, Prince of Wales who later became Edward VII. The song Daisy Bell (Bicycle Built for Two) is said to have been inspired by her. An early member of the Montreal Bicycle Club, and a world champion figure skater. 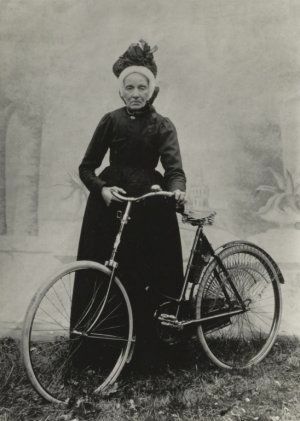 First woman to bicycle around the world which she completed in 1895. 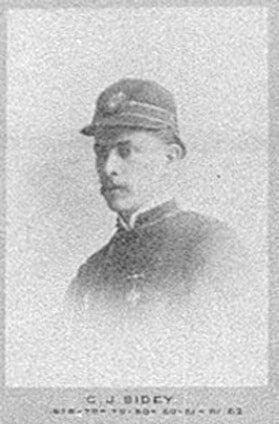 One of the original founders of the Montreal Bicycle Club. In 1874 he took a 300 mile bicycle tour of England. Further research required to know which sister was Dorothy, and why she was considered artistic. No introduction required for this early tricyclist. In 1869 the "Grand Velocipede Masquerade" was held at the Drill Hall Rink in Montreal to the tunes of the city's 69th Regiment Band and attracted between forty and fifty riders. Among the highlights was a one-mile race, demonstrations of "fancy riding" and an exhibition on two and three wheeled machines by Boston rider Miss M.J. Frothingham. 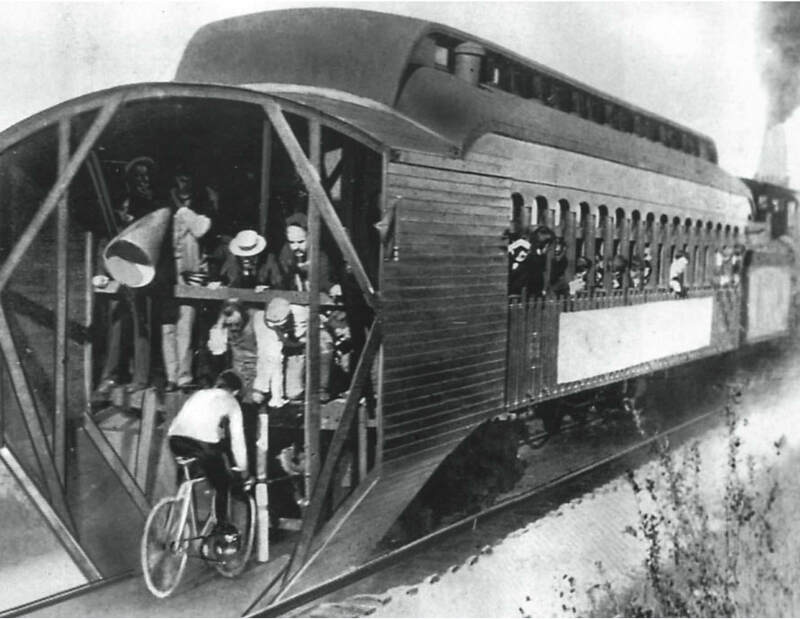 The first man ever to ride a mile on a bicycle in under a minute. Acquiring this Sobriquet requires a certain je ne sais quoi. Author of "Ten Thousand Miles on a Bicycle", published in 1887 and dedicated to his dog "Curl". "In 1882 the longest club rides were 1 July, 32 miles, 5 attended, 31 July, 36 miles, 4 attended and Disraeli the "Club Dawg" covered the whole distance "like a man". W.G. 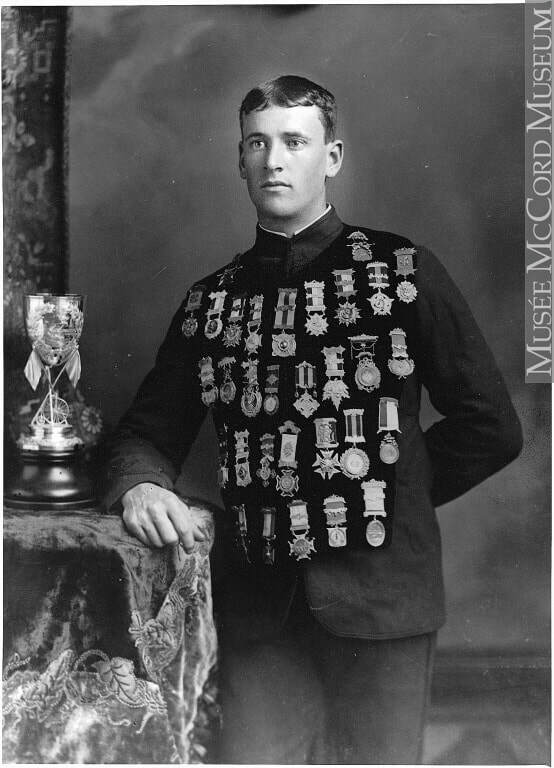 Ross captured the 1 mile and 5 mile Canadian Bicycle Championships in 1882 and won 15 of 16 races he entered in 1883. James Starley (21 April 1830 – 17 June 1871) was an English inventor and father of the bicycle industry He was one of the most innovative and successful builders of bicycles and tricycles. His inventions include the differential gear and the perfection of the bicycle chain drive. It was a 50 inch High Wheel Conventry that A.T. Lane of Montreal first rode on Dominion Day July 1 1874 in Montreal. Articles published in the 18th century credit A.T. as the first High Wheel Bicycle rider in North America. Amelia Jenks Bloomer (May 27, 1818 – December 30, 1894) was an American women's rights and temperance advocate. 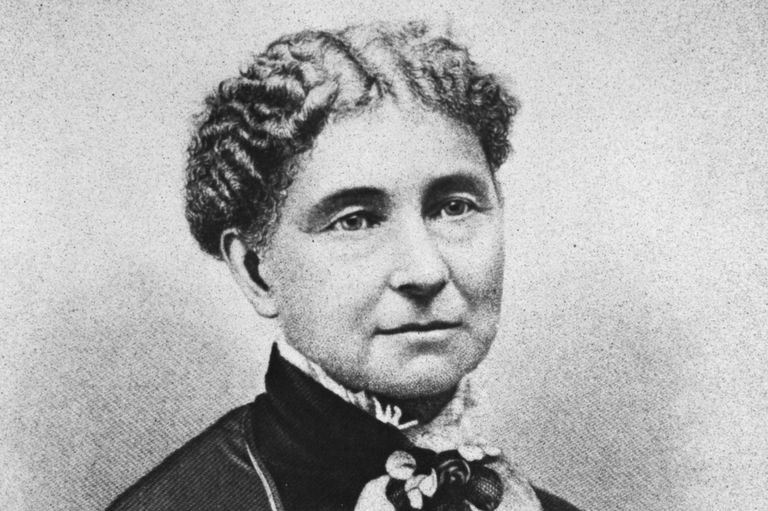 Even though she did not create the women's clothing reform style known as bloomers, her name became associated with it because of her early and strong advocacy. She was the first woman to own, operate and edit a news vehicle for women. 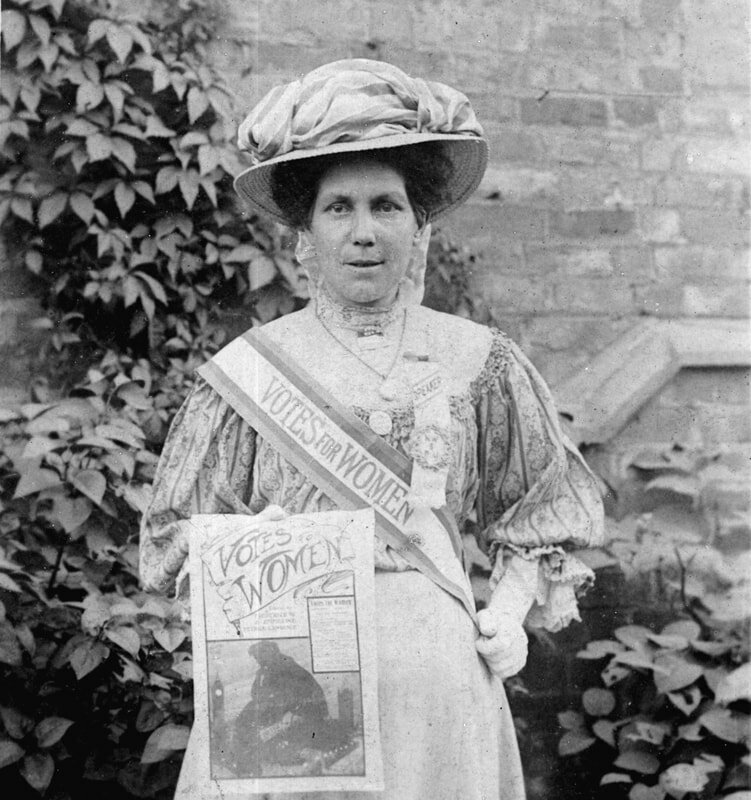 An early Suffragette and member of the Woman's Social and Political Union. 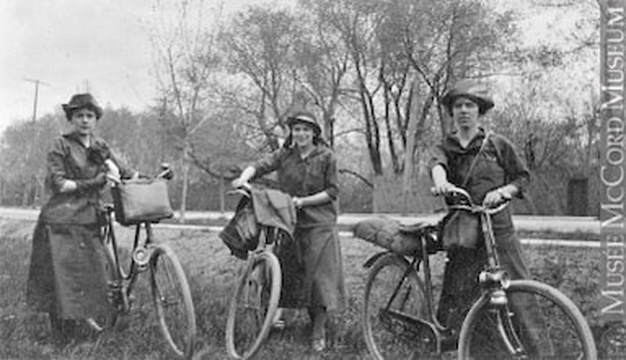 Organizing working class women in Northern or Midland towns and rural areas presented unique challenges, one of which was transportation. Alice Hawkins and her fellow suffragettes overcame this obstacle by jumping on their bicycles. 1885 Standard Bearer on club rides. Midwife around the 1900, who did her work on the bike. 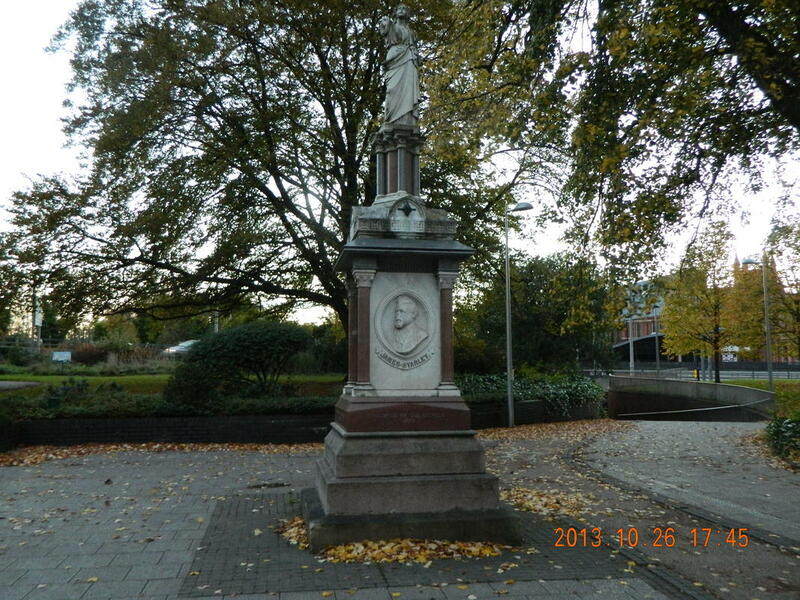 She lived in the Niedorp, in the Netherlands. Sister of Dorothy, club rumour has it that shortly after a hospital discharge from a heart attack she was seen out chopping wood. When questioned about the safety of doing that , her reply was "They did not say I should not chop wood ". Although there names were Dorothy, Phylis and Joan, which one was which in the photo remains a mystery to the club. 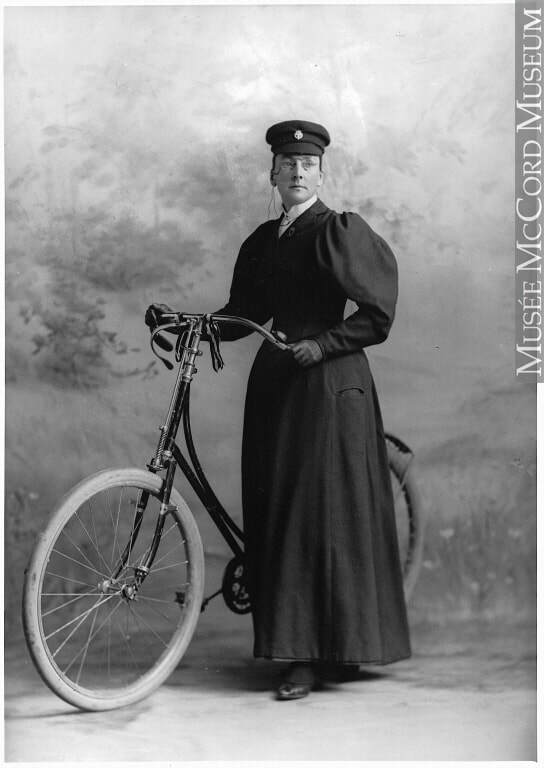 Aside from this photograph, which shows her as an early Montreal Bicycle Club member, not much is known about Mrs McCormick by the current members. 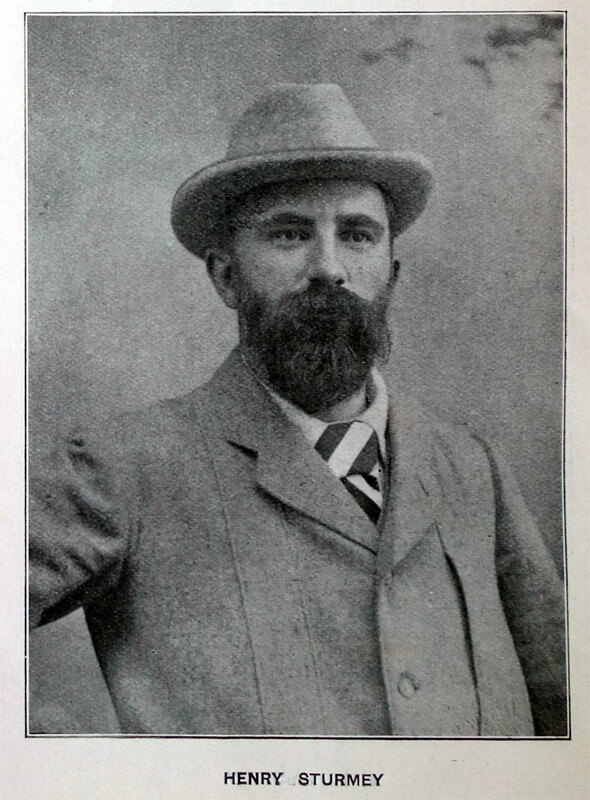 However speculation is that Mr McCormick is none other than A.S. McCormick who is mentioned in the 1894 annual report and whose photo the McCord Museum has labelled as A.S. McCormack, 1894. 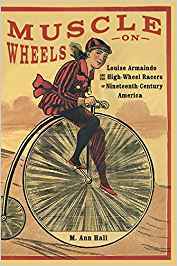 The story of Louise, an early example of Women who raced High Wheel Bicycles, became known to modern club members by Ann Hall's research in producing the book, Muscle on Wheels: Louise Armando and High Wheel Racers of Nineteenth Century America.
" Let me tell you what I think of bicycling. I think it has done more to emancipate women than anything else in the world. I It gives women a feeling of freedom and self reliance. I stand and rejoice every time I see a woman ride by on a wheel....the picture of free, untrammeled womanhood."